As teenagers in 1950 Tarik and his younger brother, Karim, left Lebanon and came to Brazil, in search of a better life. On the ship, they made friends with other Lebanese and Syrian teenagers. But upon arrival in Brazil, the friends went their separate ways, and the years pass. In 2001, Tarik loses his wife and, before he dies, he pledges to fulfill some promises. Tarik leaves everything and travels across Brazil, together with his daughter Samia, in search of the boys who came with him from Lebanon, 51 years before. Each stop on this long journey will reveal a fabulous truth of more than 1001 nights. Marcio Curi directed, in partnership with Yanko del Pino, THE TV THAT TURNED ITSELF INTO A MOVIE STAR (1993). 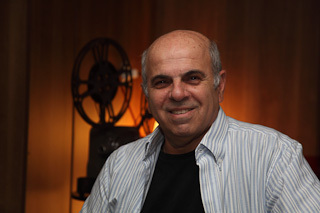 Curi also produced CRAZY FOR CINEMA (1995), directed by André Luiz Oliveira, winner of Best Film in the 27th Festival de Brasília do Cinema Brasileiro, and DAUGHTERS OF THE WIND (2004), directed by Joel Zito Araújo, which won eight major awards in the 32nd Gramado Film Festival. In 2010 he decided to return to film directing, the result of which is THE LAST STOP (2012).